Want to integrate Pop-up Store in your mobile application? This is the place to find out how. The iOS library helps you integrate our Photo Printing API in less than half an hour! Follow the instructions provided below to integrate the library within your iOS application. The library is universal and works on both iPhone and iPad devices. Once a print is purchased within your application, our designers can turn any image into a big beautiful piece of art. We print, package, and ship all orders with love directly to your customers. Installing the library is simple and should only take a few minutes. This may be done manually or via cocoapods. This will give you all of the necessary files to begin integrating our photo printing API. For next steps, see the section on 'Integration' below. Installing the PopUpLib framework is simple. 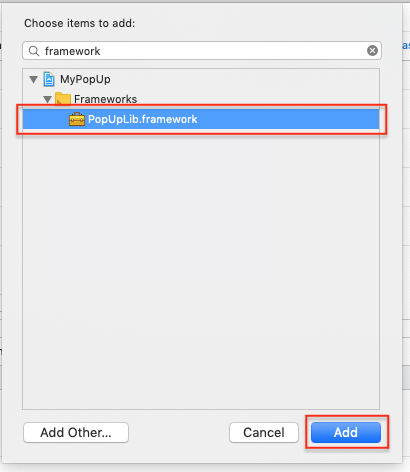 Drag PopUpLib.framework into your project's Frameworks folder within the Project Navigator. You may need to create the Frameworks group. 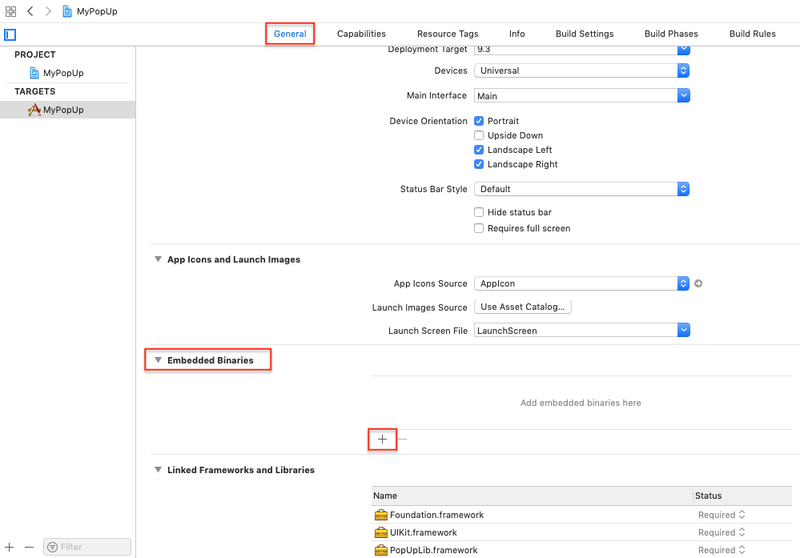 Integrating the CanvasPop iOS library into your app is very simple. There are two main files included with the framework. 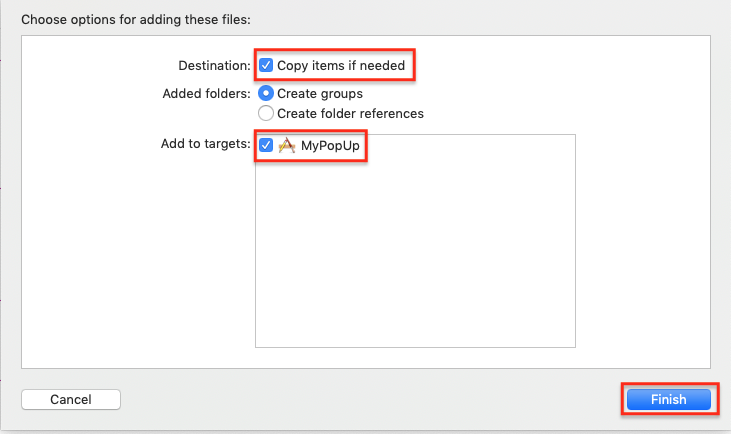 If your application is written in Objective-C, choose where your users will launch the Pop-up Store Controller and add #import <PopUp/PopUpLib.h>. At the desired time (e.g. tapping a button, after taking/editing a photo), instantiate a PopupStoreController. If one was created successfully (i.e. the call did not return nil), present the Pop-up Store controller. The iOS library provides support to show or hide the status when using PopupStoreController. By default the library will hide the status bar. If you wish to use this option you may set it with a `bool` value using the `setLibShouldShowStatusBar` method shown below. The following methods are optional and may be implemented to receive callbacks. This removes simulator versions of the PopUpLib library from the framework and is a requirement for submission to the app store. We're always happy to help out with code or any other questions you might have. It's important to us that you are able to get PopUp Store integrated into your application as quickly and smoothly as possible. Noticed a bug in the library or documentation? To integrate Pop-up Store into your mobile application you'll need to send the desired image via one of the image handshake APIs. Once the handshake is completed, you may open a web view using the /loader endpoint. The displayed store is a fully responsive site, complete with events that are emitted to allow you to keep track of user interactions.